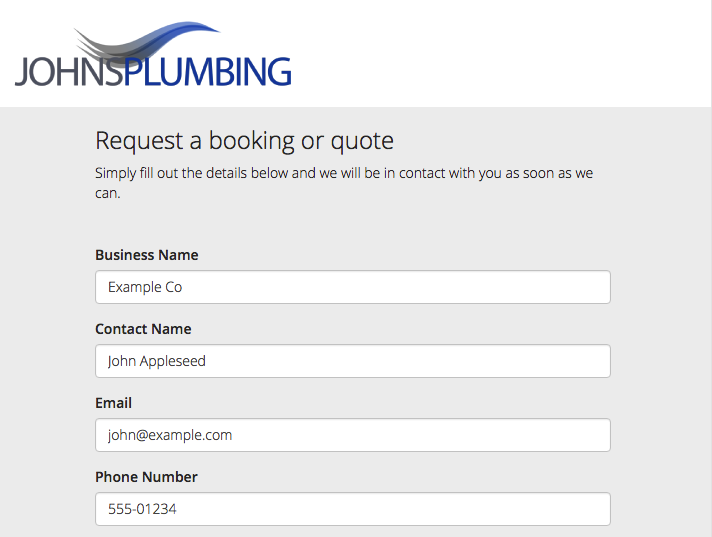 The Online Booking form lets you easily add a form to your website or Facebook page so your customers can send you a booking or quote request. 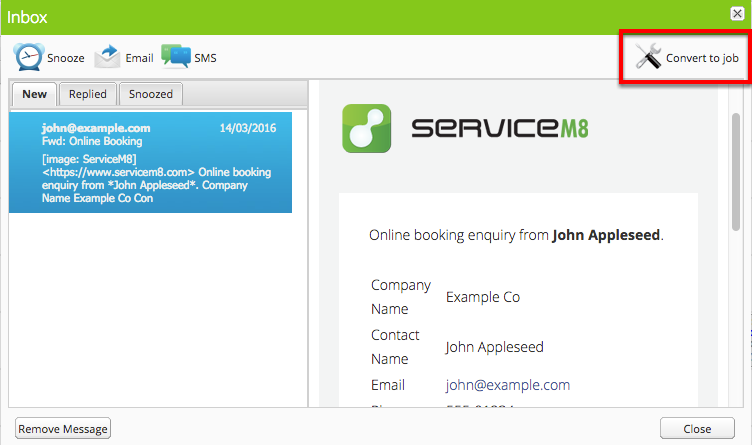 Requests sent by customers will arrive in the ServiceM8 Inbox. When you convert the inbox message into a Job, all the information entered by the customer is pre-filled into the Job Card so you don't have to re-type or copy/paste anything! This helps prevent customers providing incomplete or mis-typed addresses. Having more information up-front helps you to understand the work that needs to be done in order to give accurate quotes/estimates. If the customer provided any photo/document attachments with their enquiry, these will also be added to the job diary. 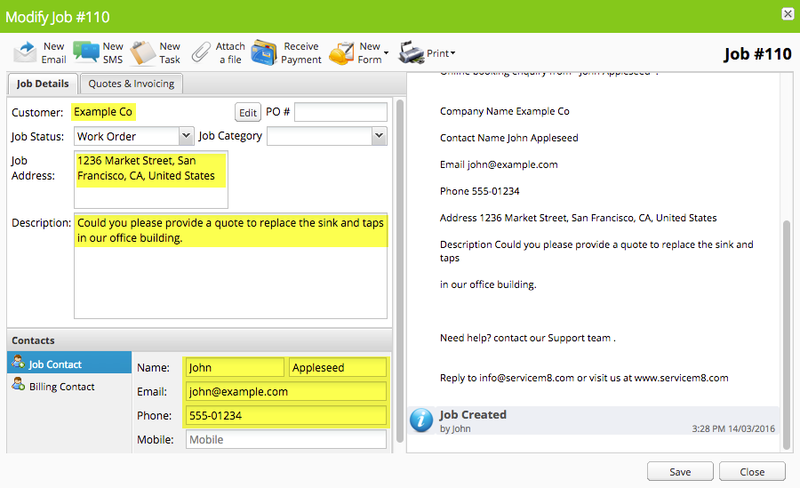 You can customize the placeholder text for the "Job Description" field in the online booking form. The default placeholder text is "Enter a description of the work you would like done". If you would like to request specific details from the customer (e.g. "please provide model/serial number" or "please specify your preferred booking time"), this is a great place to ask for them. To change the text, go to Settings > Preferences > Quotes & Estimates > Online Booking Form.